Excess. That's the only word that can describe the Super Silhouette race cars of the 1980's. They were excessive in power, looks, and image. 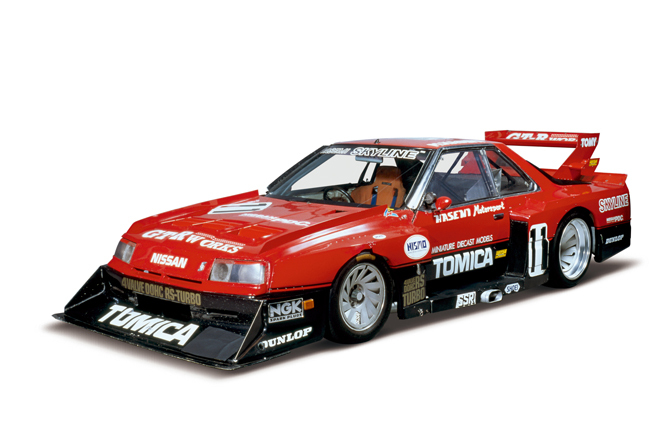 Nissan in particular had a few different Super Silhouette racers that were very successful in competition and inspired waves of Japanese car owners to mimic their style of outlandish wide body kits, giant rear spoilers, and mega-wide wheels. Before we look at the cars themselves, a quick intro to the Super Silhouette series is in order. The Super Silhouette cars themselves fell in line with FIA Group 5 standards which were seen on various race cars in Europe and elsewhere. 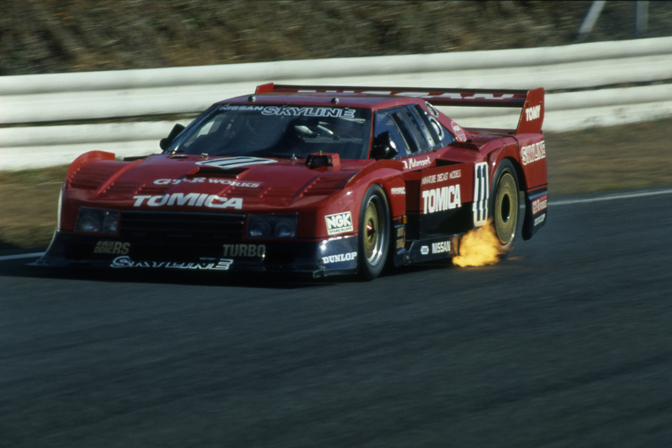 In Japan, the Super Silhouette races were held as part of the Fuji Grand Championship Series and lasted between 1979 and 1983. The fact the Super Silhouette races were very popular among race fans is not surprising when you take a look at how crazy the cars were. There were very few regulations when it came to the cars. Essentially they had to have the same "silhouette" as the production cars (hence the name), and had to use the same block as the production vehicles. Beyond those points, everything else was fair game. One of Nissan's early Super Silhouette cars was the 910 Bluebird pictured above. The Bluebird race car weighed in at a scant 1000kg (2,200lbs) and was powered by a race-built turbocharged L20ZB four cylinder that outputted 570ps. 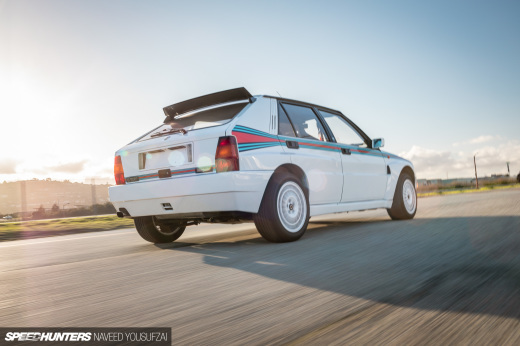 Famously, this was more power than even the F1 cars of the period. The transmission was a 5-speed from Doug Nash in the United States. The bodywork on the car is aggressive as it gets. You really can't see much of the original Bluebird besides the front grill and the roofline. I guess that qualifies as silhouette though. 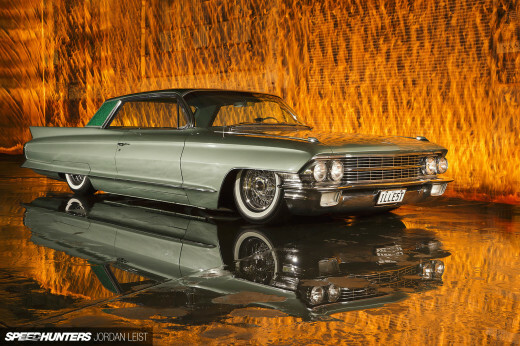 The wheels under those huge fenders are 16"x11J in the front and 19"x15J in the rear. 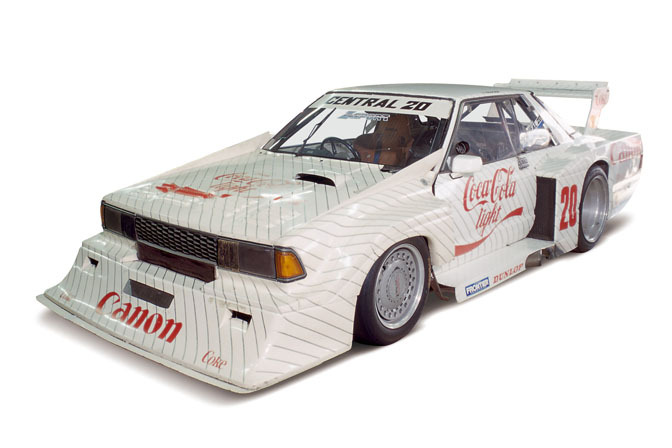 This particular car was driven by H. Yanagida and took the championship in both 1980 and 1982. 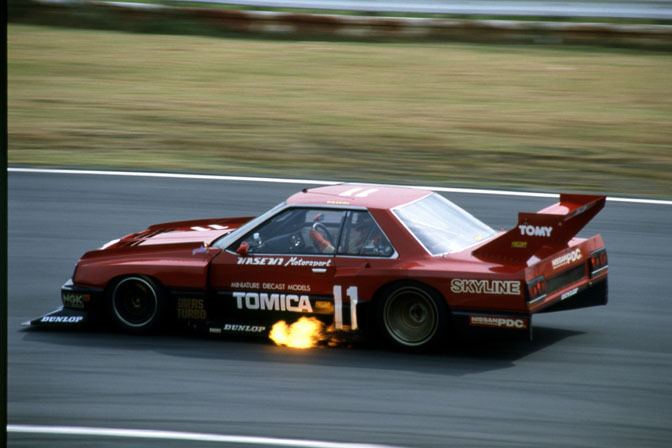 Nissan also campaigned S110 and S12-based Silvia's in the Super Silhouette races. This particular car here was driven by Nissan racing hero Kazuyoshi Hoshino. Underneath the body, it's very similar to to the other Nissan Super Silhouettes and is powered by the same 570ps L20ZB four cylinder. According to Nissan's spec sheets, the Silvia was actually about 50kg heavier than the Bluebird, but it does appear that the fastback shape of the Siliva might be a bit more aerodynamic than the Bluebird sedan. 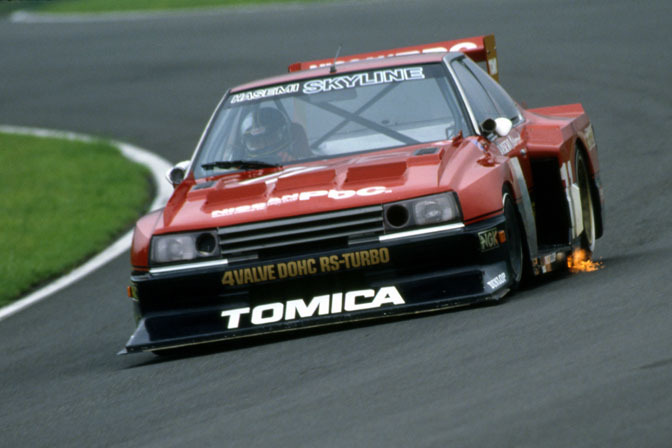 The most famous of the Nissan Super Silhouette cars might be this one, the DR30 Skyline driven by Masahiro Hasemi, another famous racing driver synonymous with the Nissan brand. Again, the car was powered by the same 570ps race engine as the other cars. Personally, this is my favorite of the Super Silhouette cars, and I especiallu like the way race the car uses the same red and black design seen on the Skyline RS street cars. Check out those 15" and 19" vented SSR wheels! Hasemi drove this car to two victories in the 1982 season and five victories in the 1983 season. Here's an action shot of the flame-spitting DR30 back in October, 1983. Really sums up the extravagance of these machines doesn't it? 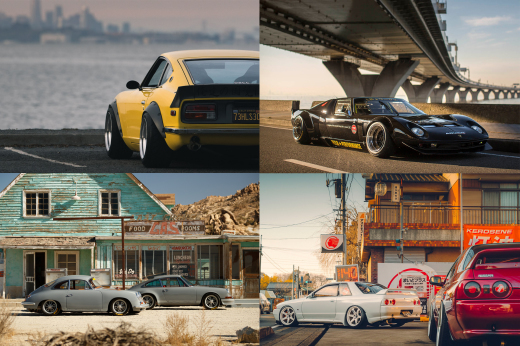 The glory days of the Super Silhouette series also happened to coincide with the pinnacle of Japan's "bosozoku" movement and the races at Fuji Speedway were big gathering points for these hot rodders who liked to imitate the race car styling on their street cars. This is where the term "Granchan" (Grand Champion) comes from. 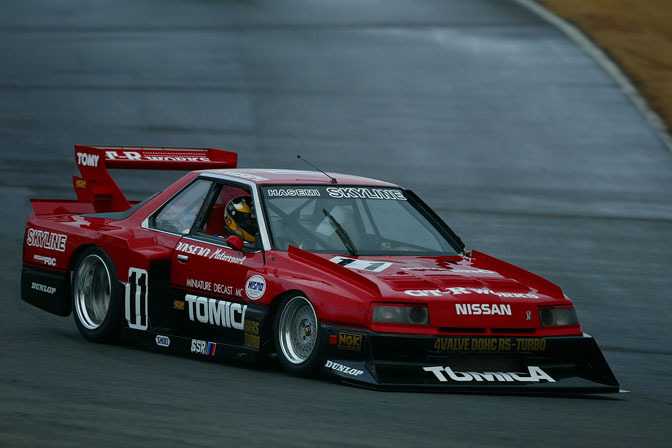 By the mid 1980's the Super Silhouette series would be phased out and Nissan would shift its efforts to other racing ventures like Group C Prototypes and Group A touring cars. The wildness of the Silhouettes would not be seen again in Japan. Fortunately though, Nissan keeps a few examples of these machines in their collection and routinely brings them out on the track for special events like the Nismo Festival at Fuji Speedway. There was a Best Motoring racing history video which featured this car and it was seriously awesome to watch, what a car!!! What is that last DR30? Never seen one like that before. Ever since I drove the Tomica DR30 on GT2, I havnt stopped loving all these cars, there all awsome. this blog always has interesting cool stuff...keep up the good work. i've never seen the last one either? ugly. Super Silhouette. The term is just right for this kind of car especially those crazy widebodykits. Nice article, though more info should be more better. The Tomica Skyline Super Silhouette was always my second favorite car in Gran Tourismo 2. Too bad it did not feature in the later GT series. Like Kiseki said one of the BM Racing History DVDs concentrated on these three super silhoutte racers and the BMW M1 super silhouette as well. Lot's of history, technical stuff etc, only in japanese though. What is the name of the car on the last pic ? 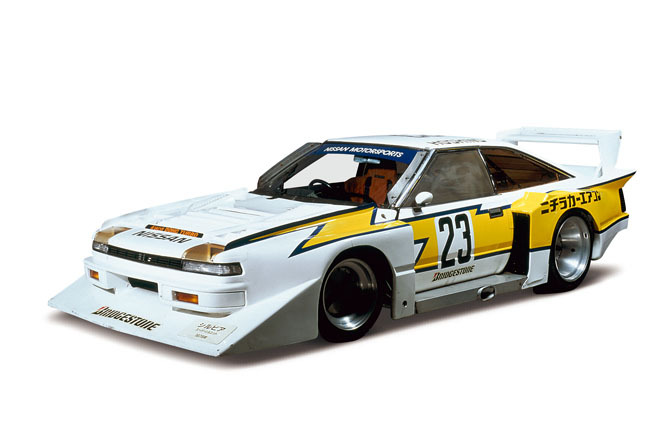 The S12 Super Silhouette was just the S110 with a different nose and tail-lamp arrangement. The main cockpit is still that of the S110, if you take a look. Just a minor correction. The engine designation is LZ20B, not L20ZB. I love those Super Silhouette cars! I think it is amazing they created the Kyusha/Bosozoku style craze!